Go to the address: https://optima.jamk.fi. Click the top link (please, see the picture below). Do you study at JAMK’s course as a student from another university? 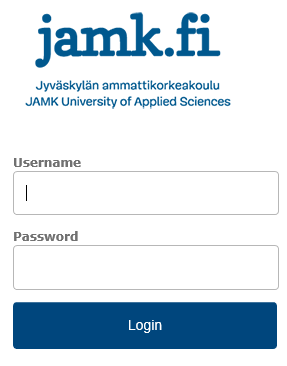 Always log in using by JAMK’s username and password. 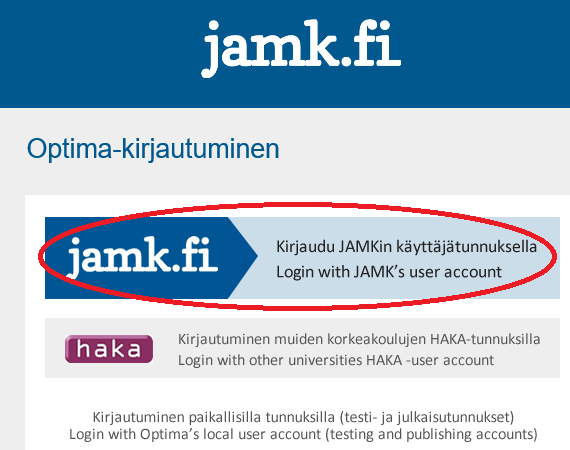 Student’s HAKA login does not work if you use another university’s user ID. Write your JAMK username (eg. M0009) and your password. Forgot your password? Click to the Vetuma to change it. log in using another browser.